Robert "Rob" M. Kesten joined the Firm in 2011. His areas of specialization include real estate, association law, corporate law and transactional law. Rob moved to Florida in late 2001 and went to work as General Counsel to one of Boca Raton’s largest land owners closing more than $300,000,000.00 in transactions before opening his own Law Office and Title Insurance Company in Boca Raton. Rob practiced in Sullivan County, New York for 13 years before moving to Florida and had his own practice as well as being a Managing Attorney for a large local firm managing a branch office and handling all of the Real Estate matters coming into the four office firm. Rob represented numerous banks conducting closings and handling all aspects of loan procedures for these banks which included Community Bank of Sullivan County, Hudson Valley Bank, Hudson United Bank and Middletown Savings Bank. Civically oriented, Rob served as Village Justice for almost eight years in a position his father had held 20 years before. Rob was a volunteer firefighter. Rob has, along with his other areas of practice, represented homeowner and condominium associations since 2009. Rob has recently been elected as Chair to the Board of Directors for South Tech Charter High School in Boynton Beach and has served on its Board since 2007. Rob has also served on the Board of Directors of Temple Shaarei Shalom and has served as its President. Born in Monticello, New York, Rob graduated from Florida International University with a Bachelor of Science in Hotel and Restaurant Management in 1983, and Brooklyn Law School with a Juris Doctor in 1989. 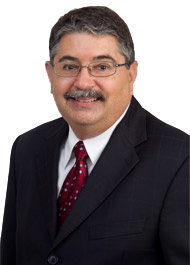 He is a member of the Florida and New York Bars and a member of the Florida and New York Bar Associations.